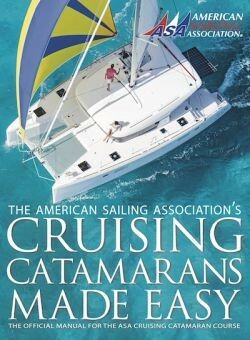 “Cruising Catamarans Made Easy” is the premier sailing textbook to focus exclusively on how to operate a cruising catamaran. This textbook highlights the unique art of sailing a larger catamaran with its distinctive characteristics and operating systems. Richly illustrated with detailed, instructive photos and easy to understand educational text, this 90 page textbook belongs on every catamaran with a cabin!